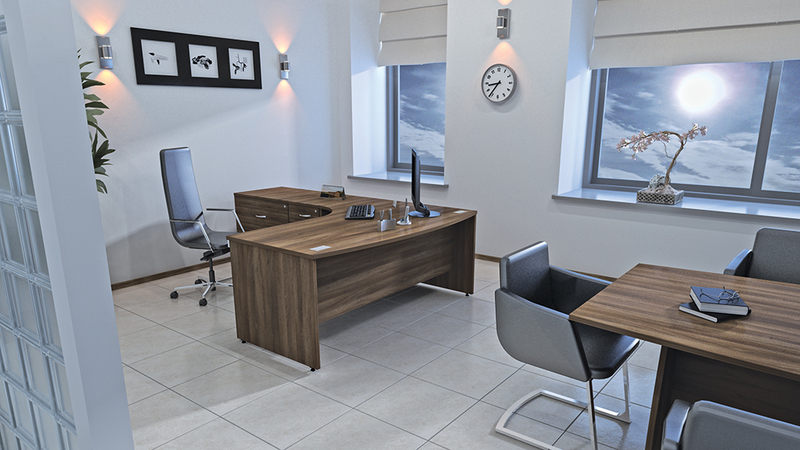 With our extensive range of office desks you will find there is something to suit all budgets, all our office desks are designed and made to the highest quality enabling you to have confidence in your new products..
Our office desks come in all shapes, finishes and sizes, to suit all requirements. 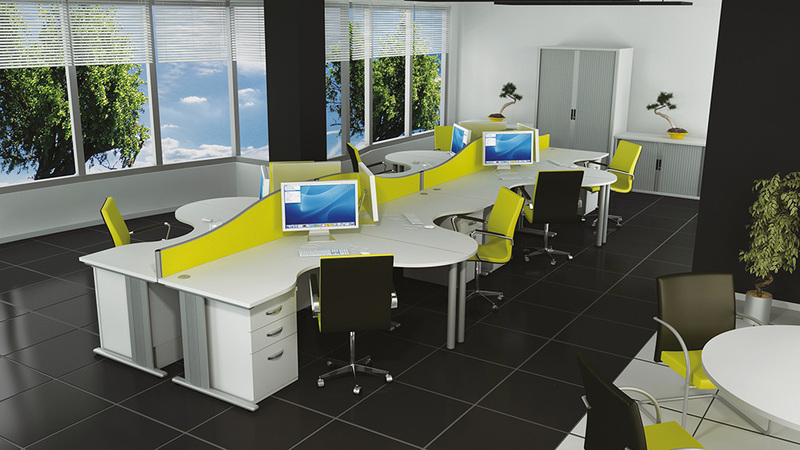 Whether you’re looking for a single office desk or a full office fit out, we can help. Take a look at our services page to see what else we can offer in regards to planning your office or if you would prefer contact us now by phone, e-mail or our online contact form and someone will be in contact with you as soon as possible. 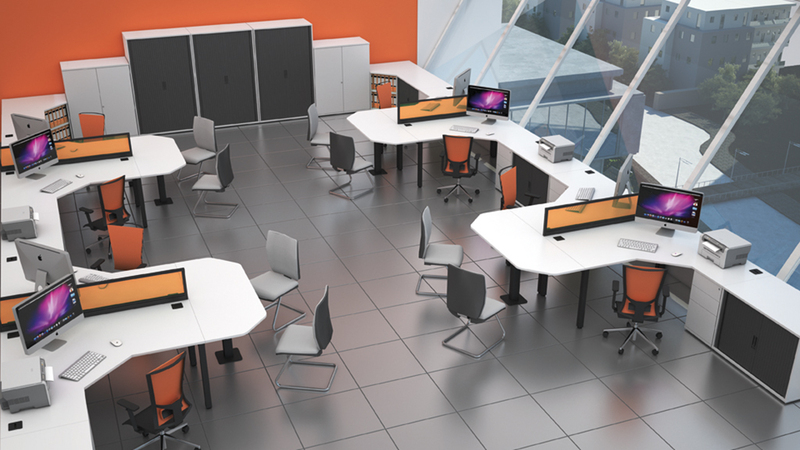 The Pure desking range offers a modern take with value for money, available in 17 MFC finishes with the option of two tone design storage. This range features the iconic Ligni ply wood legs which are not only a strong and durable choice but an environmentally conscious one. You can complete your office aesthetic with the matching Ligni family pieces to create a Scandinavian style working environment which is as inviting as it is functional. Sirius office desks are popular in demand. The Sirius contract range of office desks offer a cantilever desking system and being very durable, robust and hard wearing for the busy office environment, yet affordable. 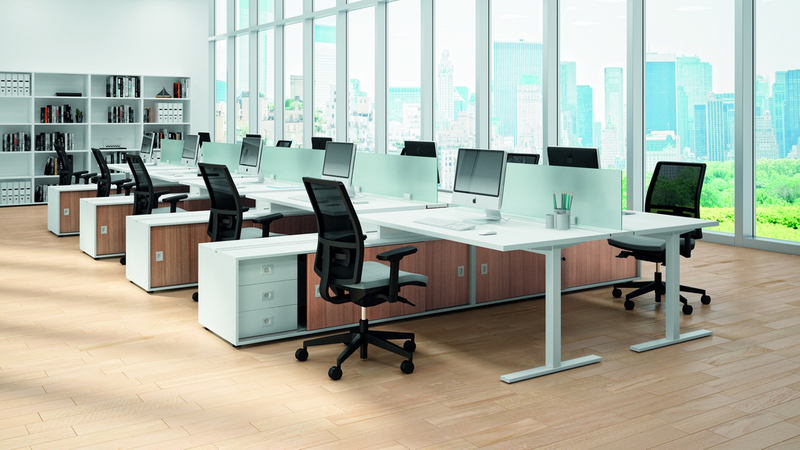 Modello Idea+ office desks increase the changeability of the room according to your needs. 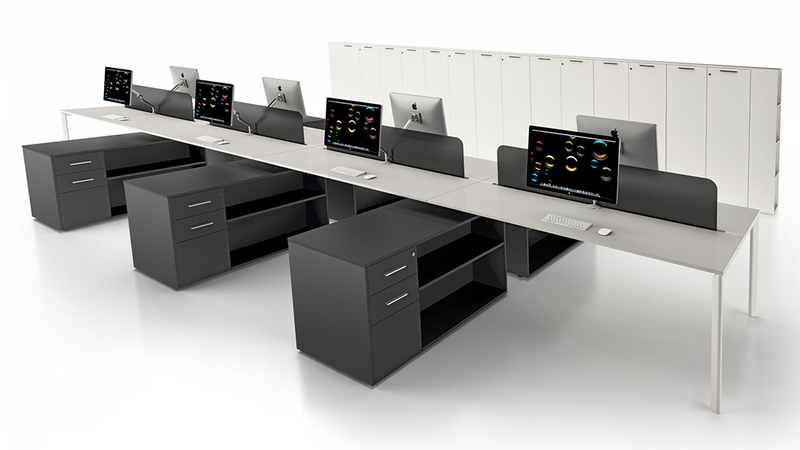 The Quadrifoglio Idea+ office desks are predominately an operative range of office desks with cable management available. Imperial Qudos office desks are a stylish solution for many offices with fully cable managed legs and cable trays available.There are many desk top shapes to choose from and desktops incorporating conference ends for management and executive offices. Italian manufacturer Uffix designed Yo office desks as part of a furniture range that allows you to work in a flexible and smart way. This innovative office desk addresses all area of the working environment, workstation, open space, meeting area, executive offices and reception areas.